Towson posted a 2-2 record this weekend at the USC Upstate Classic tournament. It was the team’s second tournament of the 2017 season. 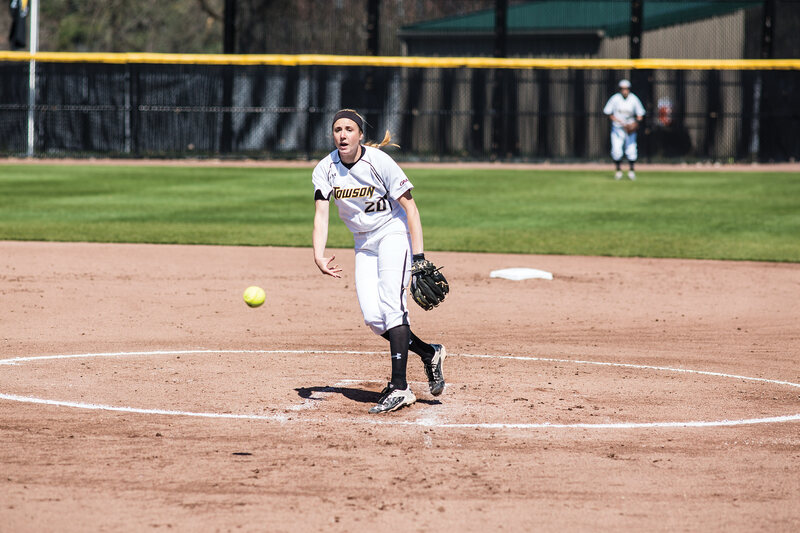 Towson traveled to Greenville, South Carolina, Sunday for its final two games of the weekend. In the first game, Towson fell to Campbell 4-3. Freshman pitcher Julie Smith-Harrington pitched her second complete game of the weekend. She gave up only three earned runs and struck out four batters. Junior shortstop Brook Miko led the way with two RBI. Junior third baseman Daria Edwards, junior right fielder Shelby Stracher and junior centerfielder Kendyl Scott each recorded two hits. The Tigers ended the tournament with a loss to host Furman. Towson only managed two hits during the game, one from Scott and the other from sophomore right fielder Nicole Stockinger. However, Towson got its weekend started with a 2-1 victory over Georgetown. Freshman pitcher Julie Smith-Harrington pitched a complete game and gave up only one earned run. The Tigers also managed to steal five bases in the low-scoring affair. Towson also played Colgate University the same day and won 9-2. Freshman first baseman Madison Wilson went three for five with three RBI. Junior pitcher Olivia Baltazar went three for four with one RBI. Junior Megan Dejter pitched a complete game, giving up only two earned runs and striking out six. The Tigers now stand at 4-5 after this past weekend’s tournament. They will travel to North Carolina next weekend, Feb. 24-26, for the Carolina Classic, where they will take on Hampton, North Carolina, Marshall, and Miami University (OH).